Who wants to join our calligraphy session?? Hi, this is Cosmos Japanese Language School! We are having calligraphy sessions on every Mondays 19:00-19:40. Ms.Abe, professional calligrapher, will give you a session for free. Come and Join us!! We have a message and some more detail information from Abe-sensei below! “秋鳳 calligraphy salon” is providing the place for foreign people to enjoy Japanese calligraphy. You can choose your favorite letter(e.g.Kanji), and create your own original calligraphy art using a writing brush. Since our session is in a small group, calligraphy-unfamiliar students are also welcoming. 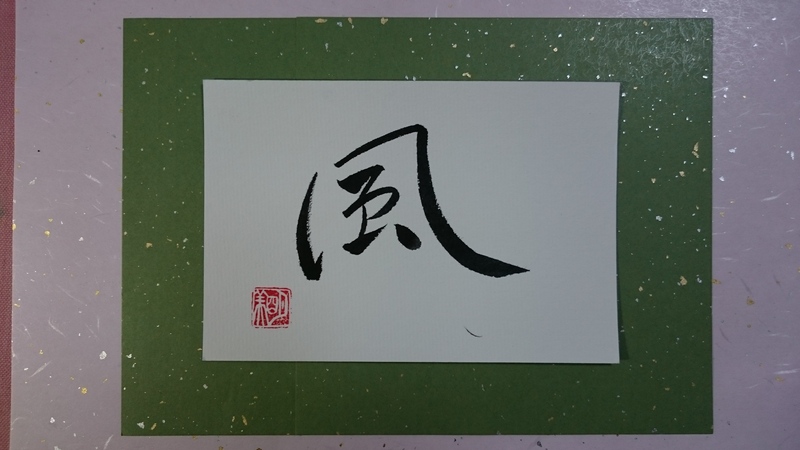 Each of Japanese letter has their own meanings, so some students give the art to their friends as a present. Of course, you can take a session with your family or friends!